What is :@”C:\Conversion.jpg”; referring to and why does bitmap give me an error saying its not declared? while uploading the file, I am reading JPG file from C:\Conversion.Jpg then convert it to byte and insert it in database. You have to give read permission on the drive or folder to aspnet user so that it can read and write it back to that folder. Of course you can use any of the JPG file you have in your system, I had Conversion.JPG so I used it. Image comes from database to local folder as 124234232500.jpg..
You need to look at conversion from binary code to image. there must be some problem in that. Look at it and still problem persist, let me have a look at your code. thanx for ur imformation about image in sql database. plz let me know how to use ajax in c#. is it possible? 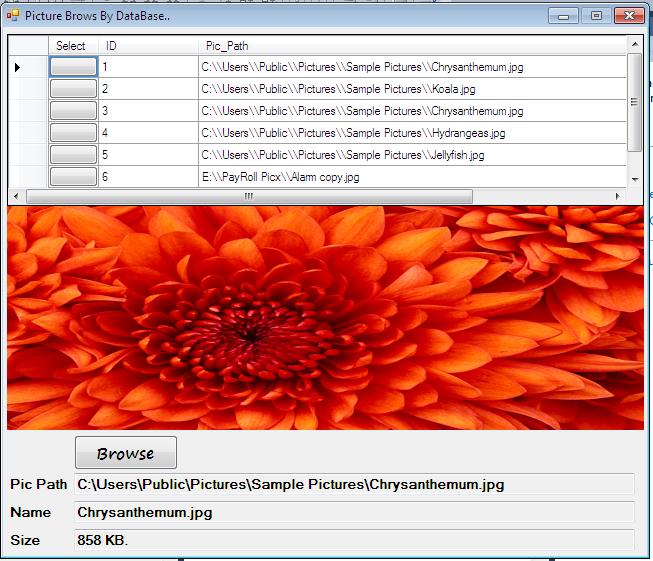 Will u plz help me, to upload any image(.gif, .png, .jpg) from users in perticular folder on the server, with dynamic Name(like primery key[int value] as a name) in SQL Server 2008.
and how to retrive it from that folder…? this is supposed to be on the web not on computer. i have written this code i can figure out the error plz helpme if u can……..
sorry ..i cant figure out d error…. does it works only for jpg files?can i know the code for all types of images. well this code works for jpg, gif, png, bmp even PDF, doc, xls etc…. if you want to store different type of images, you have to have one more column which can store its extension so that while converting it back, you can use it. i want store photo on sql server 2005 using C# code and display the photo on web application. this is what I show in example. isn’t it working? well there is no concept of forms in SQL Server, you might be talking about windows form application of .NET. As long as contact information concern, you can get it from my blog SQLHub. How do I use ‘AJAX Slide Show Extender’ in the Master page ? Sir i am getting error in your coding is :Parameter is not valid . Sir i am getting error in your coding is: Parameter is not valid . how ca i use image control to retrive image?? 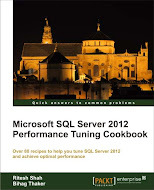 It is already given in article by use of SQLConnection and SQLCommand. even if you want to learn basics about connection and command in .NET which execute TSQL in SQL Server database, I would suggest you to learn from following link. hi amant, sorry, that reply should be for another poster. however, you can bind image to image control by converting it from byte to image. hi….any one please help me? I wanna to update my image and retrieve in at image control using asp.net 3.5 c#. I have using update command to update the image but when we wanna to show then it con’t show in the image control. 3) from DataGridView to exporting into Excel Report. ***// This code made by Syed baqar hassan. *****// This code made by Syed baqar hassan. This is a wonderful web site, would you be interested in working on an interview about just how you produced it? If so e-mail me! Hi!! It’s Soumya. Plz reply how to store images in microsoft access database using C#. It is better to store images in hard drive somewhere and give path in access database. it is not at all advisable to use access as a binary storage.